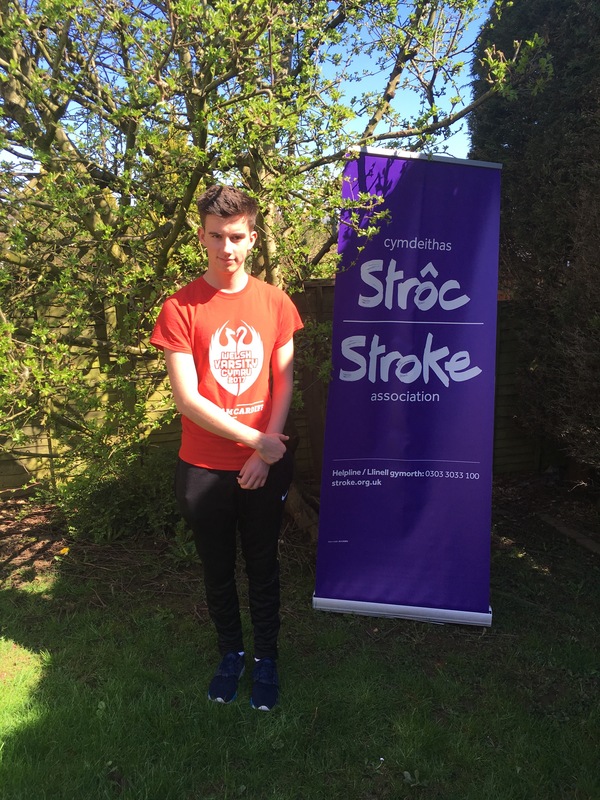 Samuel Coles, 20, a stroke survivor from Cardiff is set to take part in the Step Out for Stroke fundraising walk in aid of the Stroke Association at Roath Park on 10 June. The anatomy student is looking forward to meeting other young stroke survivors at the walk as he works to overcome the emotional effects of the stroke he had in just March. Step out for Stroke walks will take place across Wales from May to July 2018 to raise money for the Stroke Association to support stroke survivors and their families. Stroke is a leading cause of disability and there are almost 66,000 people in Wales living with the after effects. For stroke survivors who are taking part it’s also a celebration of their first steps towards overcoming the challenges of living with stroke and regaining their independence. Sam realised something was wrong when he became dizzy at the gym, and was then unable to speak to ask for help. “It was really scary. I knew what the symptoms of stroke were, I just didn’t think they could happen to me. I don’t smoke, drink much or take drugs so it wasn’t something I’d worried about. My girlfriend drove me to hospital where I had a scan and they said I’d had a haemorrhagic bleed on my brain and I spent time in intensive care. “I’ve mostly recovered physically, although my left hand has a bit of weakness compared to my right. The challenge is more the social anxiety side – feeling overwhelmed in busy places. I’m studying anatomy and bio-medicine, so I have tried to learn something while going through this! “Stroke strikes in an instant and causes more disabilities than any other condition. It’s a real inspiration to see Sam taking on this walking challenge to raise vital funds to support other stroke survivors. Step out for Stroke walks take place across Wales and the UK from May to July 2018. Visit www.stroke.org.uk/stepout to sign-up to an event near you.